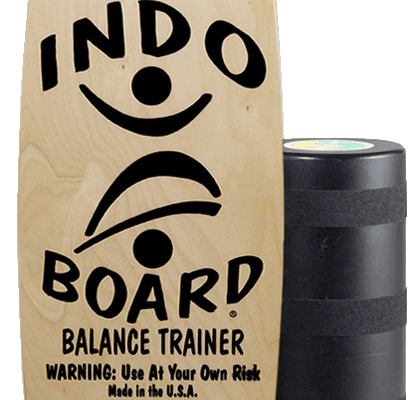 The Indo Board Pro model was originally designed specifically to allow advanced Indo Board riders to learn to cross-step (see video here). The extended length of the Indo Board Pro deck also accommodates taller riders (over 6 feet tall) or anyone wanting to be able to utilize a variety of stance width options. This is so the rider can choose the right stance necessary for various types of balance board strength training. The Pro model is a favorite among Indo Board fitness trainers for use in specific board sports training for Surfers, Skateboarders, Wake Boarders, Snow Boarders, Wake Surfers, Snow Skiers, Water Skiers, Wind Surfers, Kite Boarders, Stand Up Paddle Boarders, and Foil Boarders.